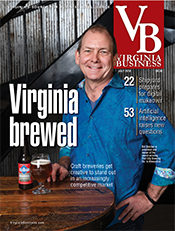 The premise behind VIRGINIAforever is that if you can find common ground you can build on it. Now 10 years old, this nonprofit group — an alliance of businesses and environmental organizations — has become an effective presence in Richmond. Its mission is straightforward and relatively noncontroversial: It wants to get as much funding as possible in the state budget to support land and water conservation. 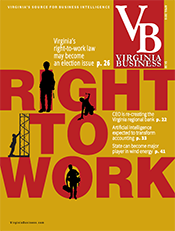 “We can come to the same table because both sides agree that the state should protect its natural resources, and that [they are] key to the state’s economic development,” says Dennis Treacy, the group’s chairman, who is president of the Smithfield Foundation and will become chair of the Virginia Chamber of Commerce in late January. A former head of the Virginia Department of Environmental Quality, Treacy just retired as executive vice president and chief sustainability officer of Smithfield Foods. 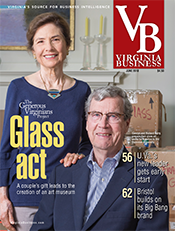 The group’s seemingly unusual alliance is part of why it has influence, says Nikki Rovner, vice chair of VIRGINIA­forever and associate state director for the Virginia chapter of The Nature Conservancy. She’s also a former state deputy secretary of natural resources. 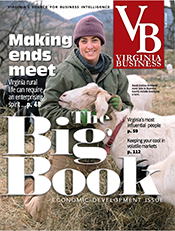 “When you walk into a legislator’s office, and it’s somebody from a conservation group and somebody from one of Virginia’s big businesses, [lawmakers] really are interested and respond to that,” she says. The group has a 42-member board (of which half are on the executive board), but it has just one lobbyist, L. Preston Bryant Jr., who was secretary of natural resources under then-Gov. Tim Kaine. 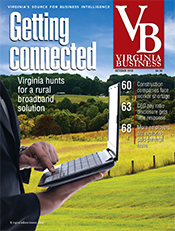 Bryant is with McGuireWoods Consulting, a firm that also provides communications support to VIRGINIAforever. 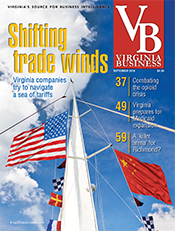 Its leadership includes representatives from some of Virginia’s biggest corporations, including Dominion Resources, Norfolk Southern and Newport News Shipbuilding. Environmental groups include the Alliance for the Chesapeake Bay, the Chesapeake Bay Foundation, the Trust for Public Land and the New River Land Trust. 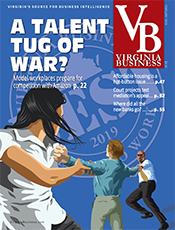 Industry groups include the Home Builders Association of Virginia, the Virginia Association for Commercial Real Estate and the Virginia Agribusiness Council. The board meets five times a year and the organization hosts three events annually, most recently a briefing in mid-December following the release of Gov. Terry McAuliffe’s proposed budget. Treacy says last year was the group’s best in terms of successfully getting state funding. But the group expects a tougher time in the upcoming General Assembly session. The group’s priorities for the 2018 budget include some minimum funding goals: $20 million for the state’s Stormwater Local Assistance Fund, to help localities reduce urban runoff, and $62 million to help farmers adopt practices to reduce agriculture runoff. The group also wants $10 million for land conservation grant programs. 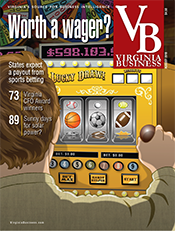 In the longer term, VIRGINIA­forever has much bigger spending goals. A five-year plan produced last year calls for the state to spend $805 million on water quality improvement, with most of that money directed to agriculture projects to limit runoff. It also proposes a funding goal of nearly $834 million over five years for land conservation. 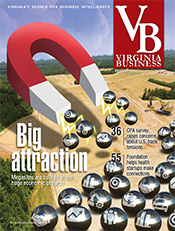 VIRGINIAforever emphasizes the economic value of environmental protection, from farming to the industries dependent on water quality in the Chesapeake Bay to outdoor recreation and clean drinking water supplies. 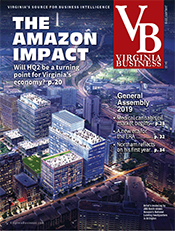 Back in the early 2000s when the group began to take shape, Virginia ranked last among states in spending on the environment, according to the group’s website. One of the group’s strongest allies in the General Assembly is Republican state Sen. Emmett Hanger, who represents parts of the Shenandoah Valley. 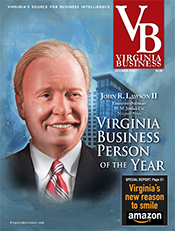 Hanger was honored by VIRGINIAforever last September for his support of land and water conservation efforts. During the decade that the group has existed, there has been less political polarization on issues where environmental protections and business goals tend to collide, Hanger says. “I get in trouble sometimes [with] my base, the right wing of the Republican Party; maybe they’re not as quick to try to achieve some consensus or compromise … but the truth is there are a lot of common goals,” he says. Hanger says the next major water quality issues are stormwater management and dealing with polluted runoff from developed areas. “We’re at a particularly sensitive point right now where this group can be helpful with the coalition they’ve put together,” he says. 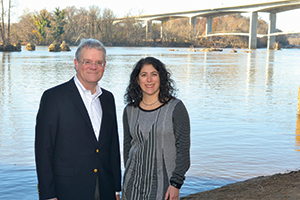 Even in disagreement there are benefits, says Bill Street, CEO of the James River Association. “I think it certainly has helped open lines of communication and even build enough trust to collaborate. Just being able to identify these are issues we disagree on, and these are things we do agree on” is valuable, he says.